A reversible cellular automaton (RCA) is a “backward deterministic” CA in which every configuration of the cellular space has at most one predecessor. 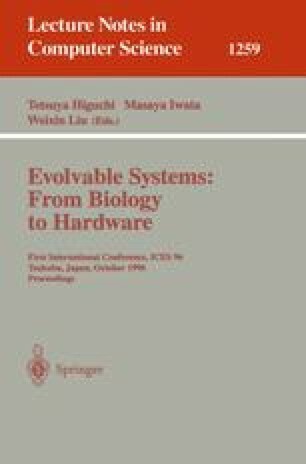 Such reversible systems have a close connection to physical reversibility, and have been known to play an important role in the problem of inevitable power dissipation in computing systems. In this paper, we investigate problems of logical universality and self-reproducing ability in two-dimensional reversible cellular spaces. These problems will become much more important when one tries to construct nano-scaled functional objects based on microscopic physical law. Here, we first discuss how logical universality can be obtained under the reversibility constraint, and show our previous models of 16-state universal reversible CA. Next we explain how self-reproduction is possible in a reversible CA.